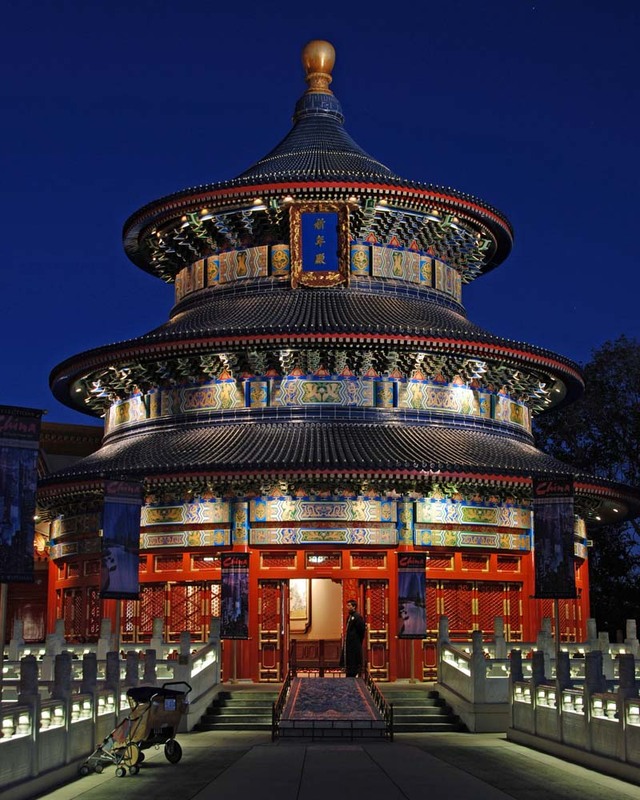 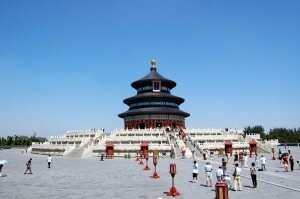 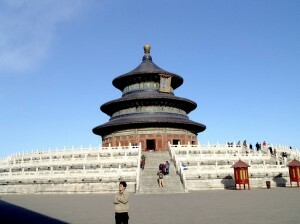 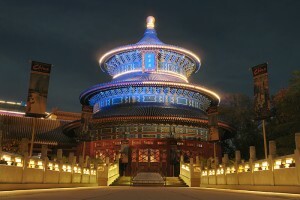 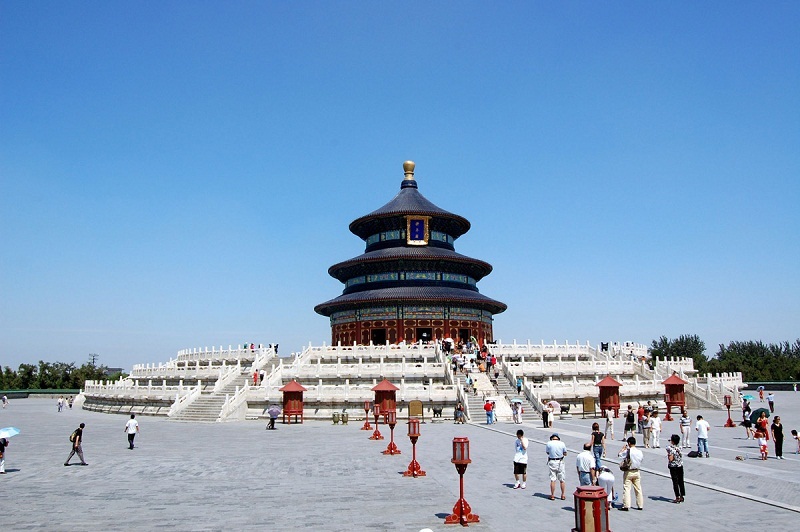 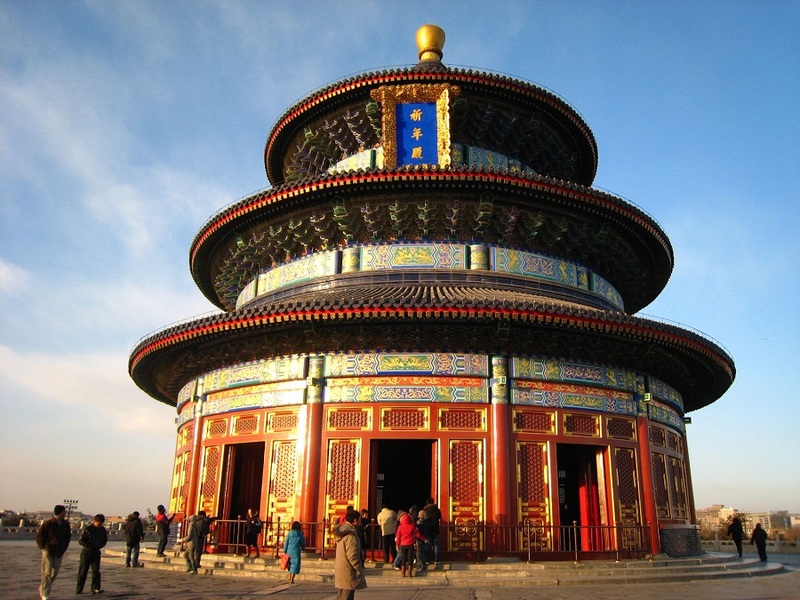 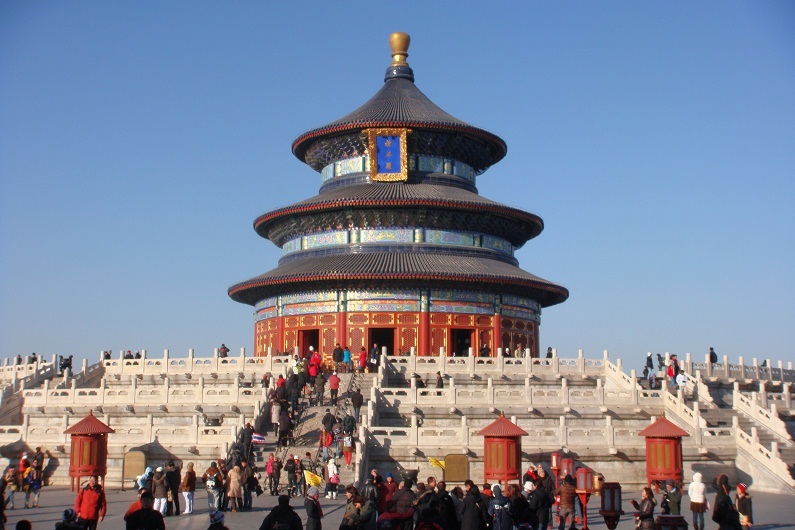 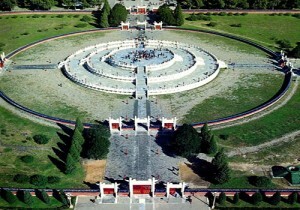 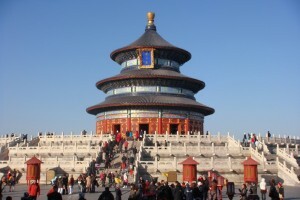 Located in the south-east part of Beijing, The Temple of Heaven is a site of spiritual significance. 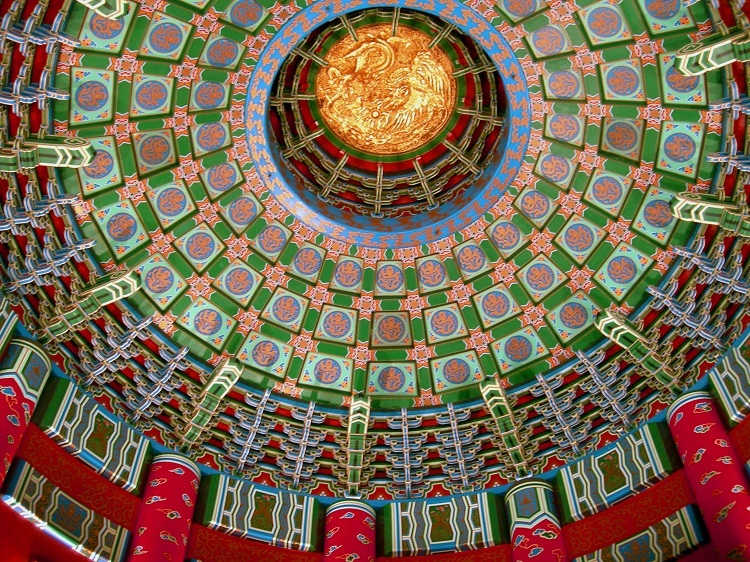 Built in 1420, during the reign of Ming Emperor Yongle, this religious construction exemplifies sublime piece of architectural art. 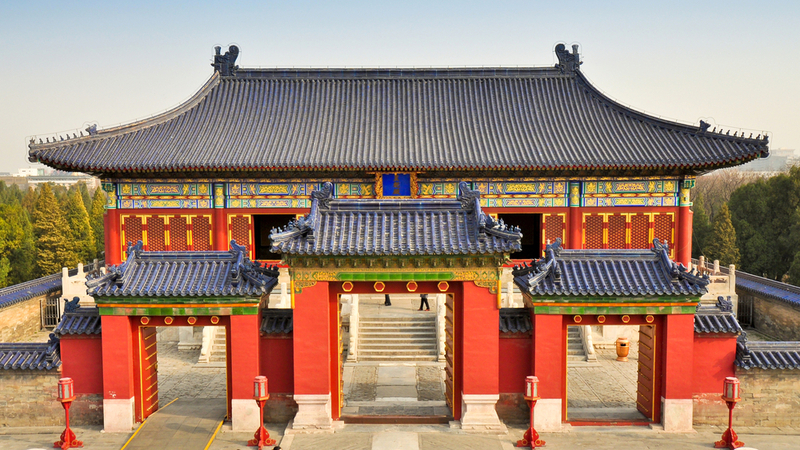 Encompassing an area of 2.73 sq km, the complex comprises 3 constitutional structures, built in a philosophical order – The Hall of Prayer, The Imperial Vault of Heaven and The Circular Mound Altar. The 3 tired circular building of The Hall of Prayer for Good Harvests is situated at the north end of the compound on a tri-level plinth of marble stones. 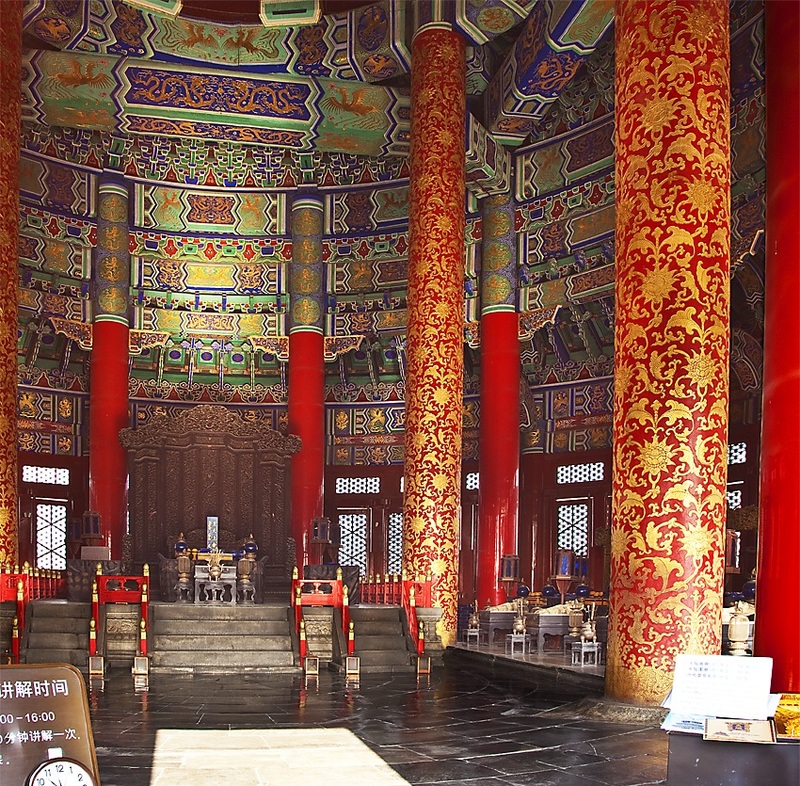 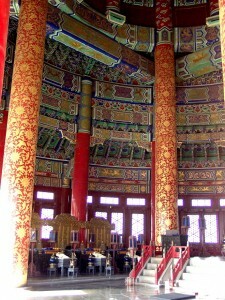 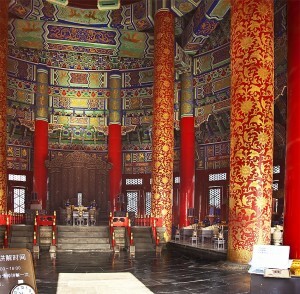 Supported by four dragon pillars, this wooden structure resembles the styles of royal ancient palace from the inside. 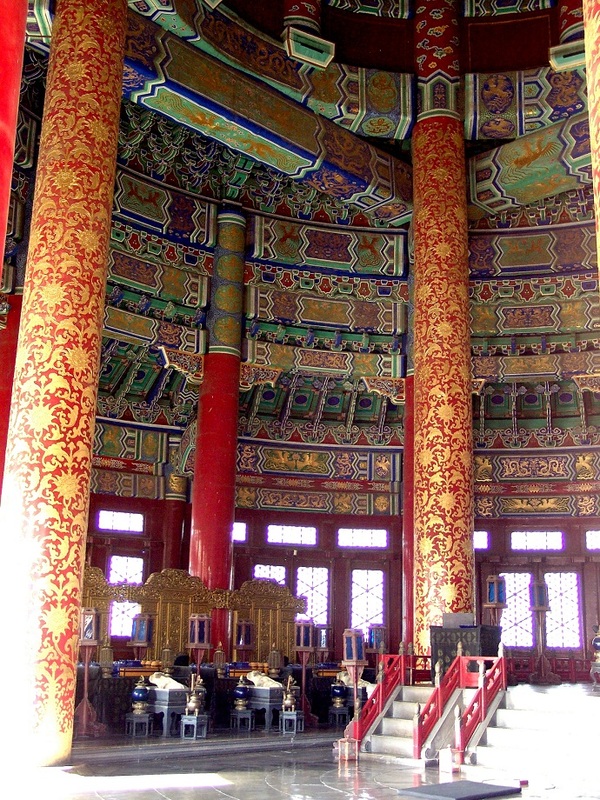 Decorated with dragon-alga patterns, the hall is famous for housing the elaborately decorated south-facing ceremonial throne. 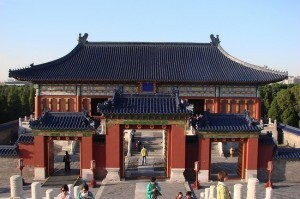 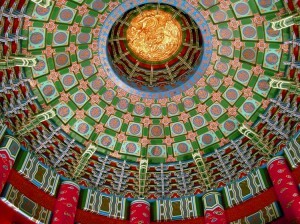 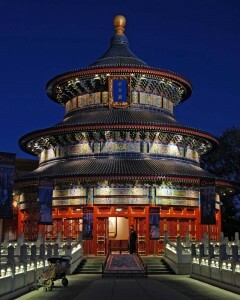 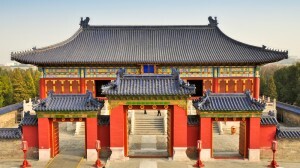 Connected to the Hall of Prayer for Good Harvests, by the Vermillion Steps is The Imperial Vault of Heaven, located at the center of the plaza. 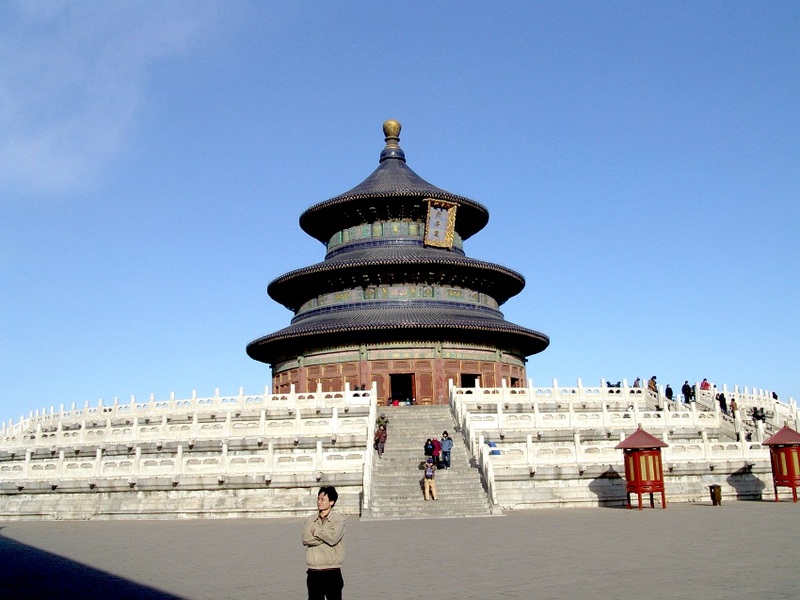 The single-gabled building is circulated by the smooth Echo Wall, famous for its feature of transmitting sounds from one end to the other. Located at the south of the Imperial Vault of Heaven is the altar proper, the Circular Mound Altar. 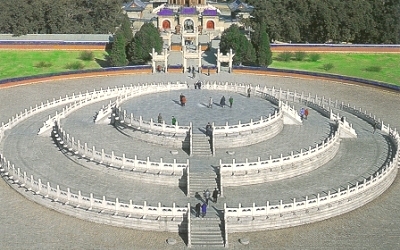 This empty circular platform is decorated entirely with carvings of dragons. 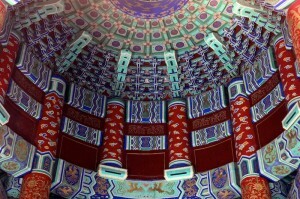 The round slated center of the altar is called The Heart of Heaven. 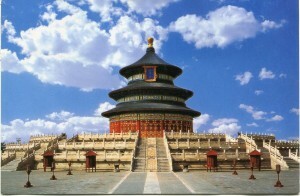 Many features of the temple symbolize the connection between Heaven and Earth. 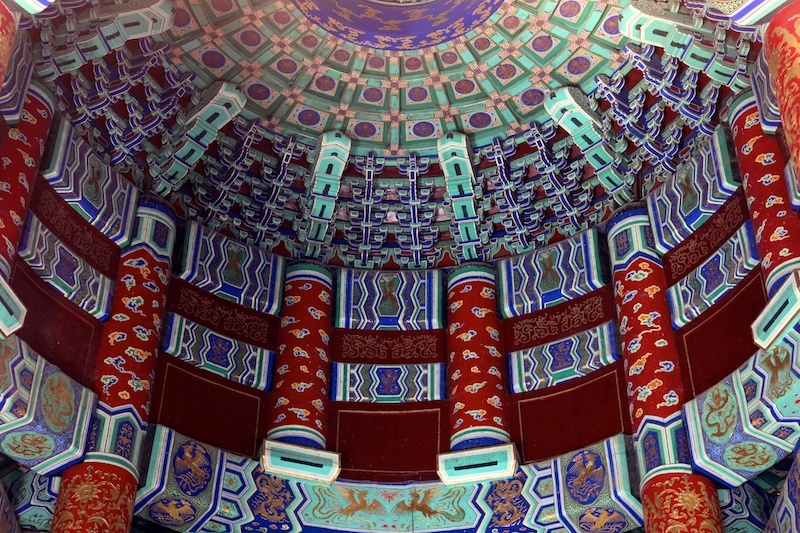 The blue tile roof-tops of all the buildings within the temple are a representation of Heaven. 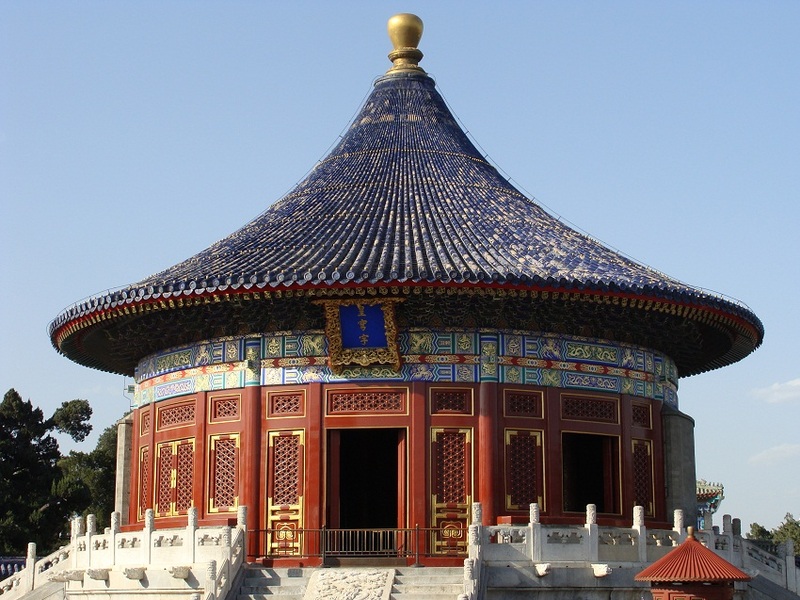 At the east of The Hall of Prayer for Good Harvests, The Seven-Star Stone Group represents the seven peaks of the Taishan Mountain, a place for Heaven-Earth worship in classical China.